With stirring vocals and world-weary pathos, soul singer Gaela Brown holds your attention with her commanding stage presence. 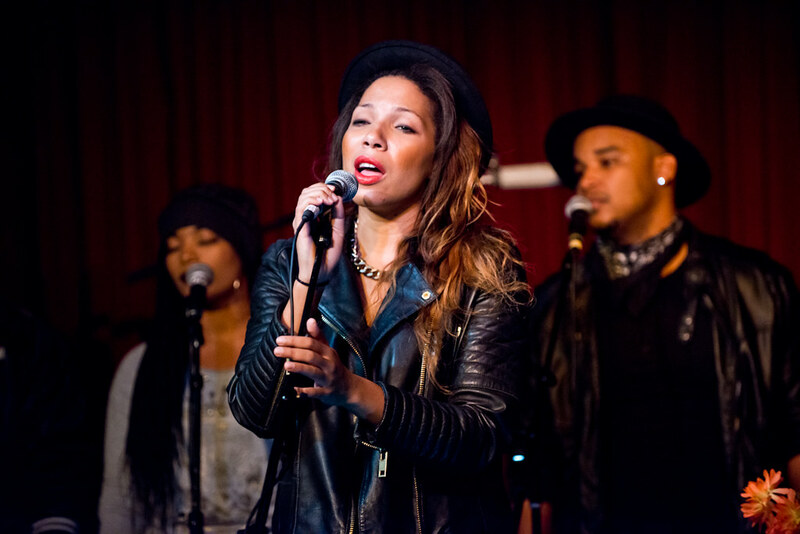 Brown was celebrating the release of her first single "I"m Loving It" with a special performance at The Hotel Cafe last Monday. Her newest single, "I"m Loving It," has a rich and playful groove with a grand chorus that's sure to get you on your feet and dance. Brown, who spends time both in her hometown in Tel Aviv and Paris, credits her musical styles from her upbringing where she was exposed to all types of musical genres including R&B, hip-hop, dance, classical, jazz, samba and African music. 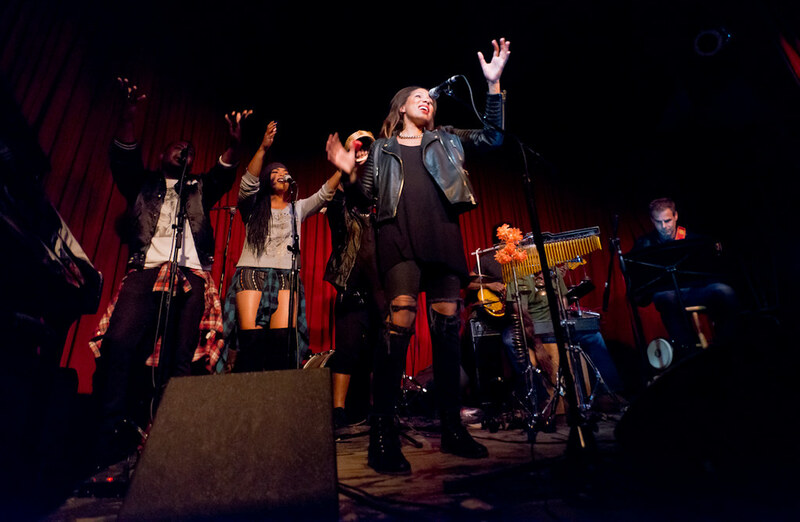 Gaela Brown performs at the Hotel Cafe. And with her wide range of musical genres to pull from, Brown can go from up-tempo dance ("I'm Loving It") to vulnerable, love ballad ("Since You Gone") and then easily transitioning to a samba inspired melody for "What's Your Fantasy." And in a moment of improvisation, Gaela changed it up a bit with instruction to her backing band, ending the night with a jazzy rendition of Meghan Trainor's "All About that Bass." But it was her awe-inspiring song "New York City Blues" that highlighted Brown's powerful vocals where, even at her most minimalist, her soulful voice rises above whispering, acoustic guitars, proving that she can shine without the flashiness. Currently, Brown is working on her EP to be released early next year via Can UFeel It Records.